I'm going to put my hands up in the air and admit it; I don't give my hair as much T.L.C as it probably deserves. Aside from the every other day shampoo, condition and blow dry, I just let my hair do as it wishes. The world of hair masks and nutrients was completely unknown to me so I did embark on my journey with the Eyova Hair Nutrient with no idea what to expect. 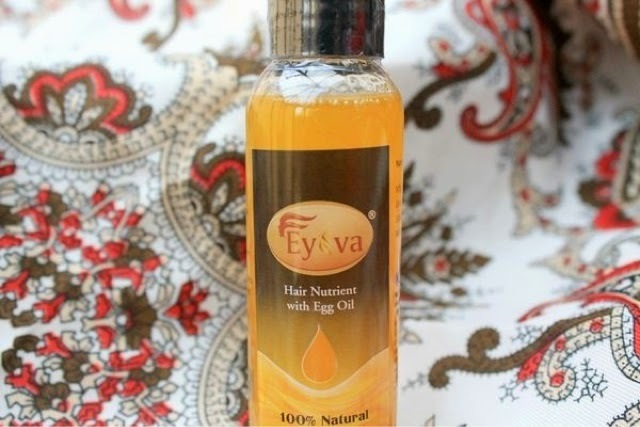 "Eyova is a natural hair oil derived from egg yolks, that treats hair damage, prevents premature hair loss, hair graying, and makes your hair naturally conditioned and shiny." I'm obviously not one who has issues with hair loss and hair graying so I was using this product from a more deep-root conditioning side, and I was pleasantly surprised as to how well it worked. 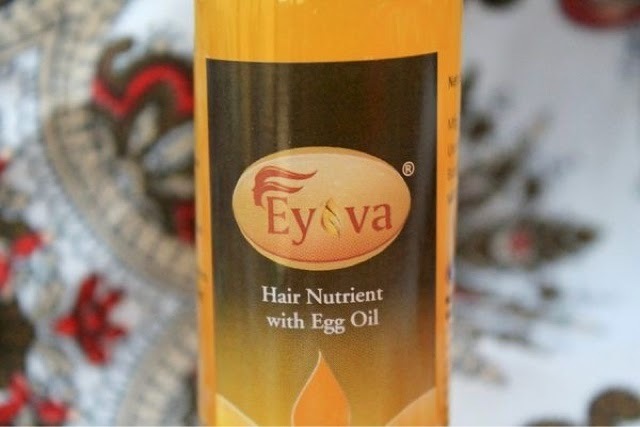 "EYOVA is a natural remedy for hair loss and hair maintenance. It repairs the damage that is inflicted upon your hair by modern lifestyle. The omega 3 and omega 6 fatty acids in EYOVA help nourish the hair from the roots while the cholesterol helps in absorption of the nutrients on the scalp to support hair restoration. This natural oil is rich in antioxidants like lutien and zeaxanthin that aid effective circulation in the scalp due to increased oxygen uptake in blood and hence plays an important role in treating damaged hair, promoting hair growth and preventing premature baldness. 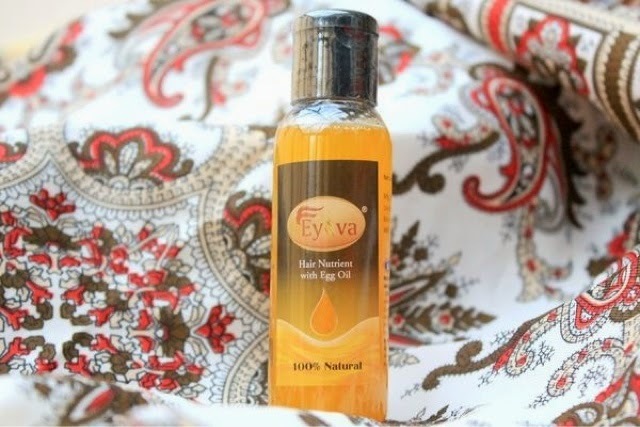 The natural conditioning treatment of EYOVA makes hair shinier and softer." I rather loved the application of this product. It sounds ever so strange when discussing a hair mask but the process was so simple and easy that it was so enjoyable. I just popped some on the very top of my head and massaged it well into my scalp; which provided a scalp massage on top of doing lovely things to my hair. I then wacked my hair up in a messy bun at the top of my head and left it overnight. In the morning I did my usual shampoo and conditioning routine and was left with silky smooth hair. It's super easy to wash off and my hair was left with no signs of the pamper treatment it had experienced the night before. The product has a suprisingly nice scent, which is obviously so important with a treatment that you use overnight. One of the best suprises with this product is just how little oil is visible on your hair, for an oil based product. It wasn't overly noticeable on my hair, which was so amazing. You're supposed to allow at least a month before you notice this product working its magic and this is the cause. Although I've only been using it for just under a month, I can confirm that it does take a little time before you notice the effects the nutrient is having in terms of sorting out any dry scalp issues. It's only been after the last couple of uses that I've noticed a real change. But, I've found that it does work at increasing the shine and softness of the hair right from the word go. What's your go to hair treatment? 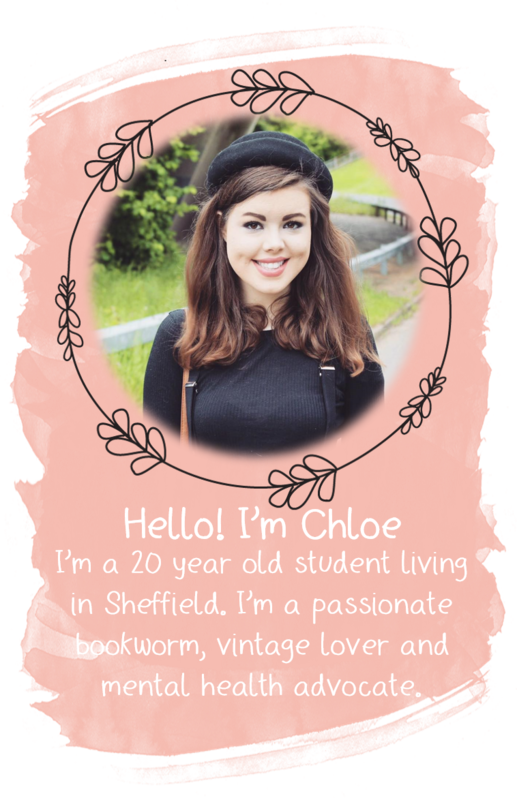 *Disclaimer: This product was kindly gifted by Eyova, for the purpose of this review. All views and opinions shared on realityleaveslotstoimagination are always honest and unbiased. Great product. I bought this on sale at Ayurvedic Nature Care site. I am using this for a year now and absolutely love it! Made my frizzy hair absolutely gorgeous as per my bf.